If you are a restaurant owner who is about to open the next big eating establishment on your block, you will need to be fully equipped with plenty of restaurant supplies, such as napkins, plastic silverware, straws, sauce cups, and especially drinking cups. In casual and fast food restaurants, drinking cups come in many different materials, and serve many different secondary purposes. Are you looking for a good clear and sturdy cup? How about a cup that displays graphics really-well? Here are all the types of cups that you can find at casual eating establishments. These cups can be broken down naturally by bacteria or fungus and are absorbed into the ecosystem once more. These cups are considered-to be eco-friendly and are composed of constituent components. Unlike biodegradable cups, degradable cups are made of oil-based materials and do not break down in a natural way. Degradable products are broken down with chemical reactions that take place in anaerobic environments. Their decomposition leads to carbon dioxide, water, or biomass. Products that are considered compostable are put into a composition of dissolving biodegradable materials. These materials go on to turn into materials that are rich in nutrients. Compostable cups decompose and decay at the same pace as paper without evaporating detrimental toxins. Poly-coated cups are paper cups that are great for serving beverages hot or cold. These cups come in either single or dual poly-coating, with each extra layer offering added rigidity. The lining also keeps beverages inside the cup and prevents the cup’s exterior from becoming weaker from condensation. These cups also come in a wide array of sizes and colors, making them marketing-friendly. They also feature tightly rolled rims that make them great to use with lids. PET plastic cups have a solid construction that is bendable, but still resistant to cracking. These cups have clear, glossy bodies for showcasing a more sophisticated look. PET plastic cups can be bought from restaurant supplies Sydney in a number-of styles, shapes, and sizes. They can only be used with cold beverages, so coffee and tea are off limits with this cup. Foam cups offer a great amount of insulation. So long as the user doesn’t intentionally poke holes through the cup, they are very reliable. They keep hot drinks hot and cold drinks cold well. These cups can contain their shape better than paper cups can, yet they are just as lightweight and affordable. 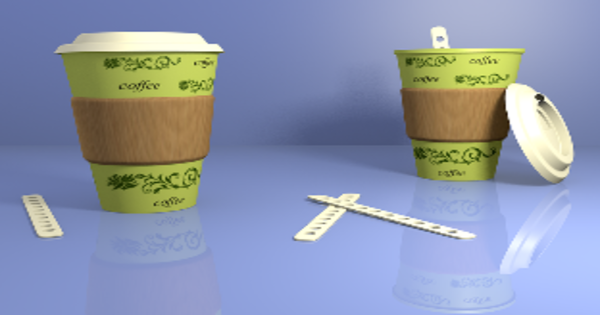 Foam cups can be bought in plain white, in patterns, or in a custom print for businesses. Foam cups come in a one-piece molded form with a base that is just as strong. Like poly-coated paper, wax-coated cups contain extra rigidity and can protect drinks from leaking and absorption. They also serve as decent insulators. These cups are available at restaurant supplies Sydney in a myriad of sizes and patterns. They also feature tightly rolled rims that make them great to use with lids. Wax coated paper is more ideal for cold drinks, such as soda pop, lemonade, iced tea, and more. Polystyrene are plastic cups that are available in solid colors or completely clear. They are made of high-impact materials that are flexible, yet sturdy and shatterproof. These cups have smooth rolled rims and come in various sizes, shapes, and styles. These cups are mostly ideal for public events and parties. These cups, however, are not for warm beverages, so you can only use them with soda pop, cold water, lemonade, and more.